I think she means "hunting for mates." What? Do they actually allow hunting up there? It's the 21st century, for crying out loud! Thanks Marc, really value your comment. I hear a symphony playing right now! And, so will the elk when the air turns crisp, and the atmosphere is RIPE for love. Though I must fight my brother. And love is all around .. I recall hearing two calling out to each other while camping in the Wichita Mtns with Boy Scouts a couple years ago. Pretty awesome stuff. Thanks for sharing your excellent image! Re: Must Have Been Quite a Sight! Thanks Mark. I value your opinion. Dear Liba, you really are an artist!! This is so beautiful! I looked at the other comments, and then I found Larry's sentence "I hear a symphony being played". 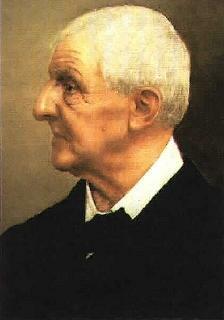 I went back to the picture - and the first thing I thought of was, sure enough - Bruckner. Bruckner, not even so much Sibelius, even though it's him one associates far more with the Elk and the reindeer...Finland...This picture would make a wonderful CD-cover photo for Bruckner's 6th or 7th symphonies...! A musician through and through. I'm not a musician, but I once put the forth movement of Beethoven's 6th symphony to a burning car video that I had taken. You remember that one, it's called "Storm" or "Sturm". It was a perfect fit. I am not a musician either (marc commenting on that). I don't even know Bruckner... will have to check on YOu-tube..
version of "Man-Elk of the Rockies" is an instant hit with music lovers far and wide! on Summitpost, I'd be wearing an Ascot, too !! !